Do you know brioche dough is an emulsion? Do you treat it as such? Can you knead it by hand or in a mixer without over-heating it? And which temperature should the butter be? But although these points are fundamental in a technical approach, I’ve since had been absorbed by some other questions that belong to the food science realm. How do the milk and eggs respectively affect the texture of a brioche? Which kind of flour yield to the softest crumb? And how much butter is too much? As with any mixture experiment, we have to study each of these variables – liquids ratio, flour properties, butter quantity – separately in order to develop an understanding on how they each have an impact on the finished product. And for no other reason than it has obsessed me for years, I’ve chosen to start by examining the effect of the egg-to-milk ratio in rich doughs. If you ask Eric Chavot, a true brioche – or as he would say, une vraie brioche – is made using eggs as the only source of hydration. And while I’m certain many would agree, the subject of brioche – from its etymology to its formula – has always been a controversial one. 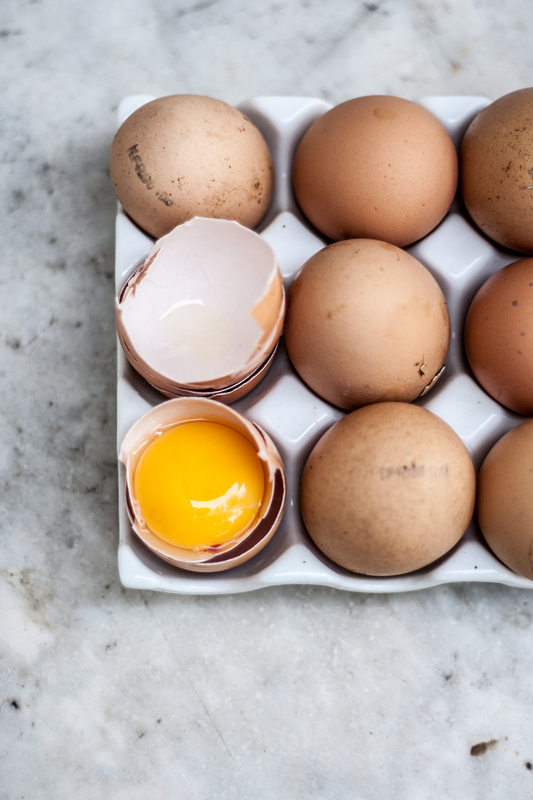 In my kitchen, I tend to use a combination of both eggs and milk; with more or less of each depending on the texture I want to achieve. A knowledge that’s really more empirical than anything; and perhaps, relies a bit too much on wishful thinking. So today, we will stop counting shooting stars and start analysing percentages. It will take five different loaves. Over two kilograms of flour and perhaps a litre or two of milk. A box of eggs. Most likely two. And hopefully, a few worthy notes that will improve my understanding of rich doughs. 1. Develop a control formula that will act as a reference point during the experiment. 2. Define the range into which the variables will fluctuate. 4. Make successive batches of brioches, each with a different ratio of egg to milk. All other variables (see method above) remain unchanged. – texture (our main focus point): thickness/hardness of the crust, crumb appearance and mouthfeel. – colour: darkness of the crust, tint of the crumb. I haven’t decided yet on whether or not to include objective qualities – such as: crust thickness in mm, loaf size, or even weight of the baked brioche – to measure the response. Yes, even though this is a matter of mixture design, I mostly want to document the results in a comprehensive yet accessible and home-practicable way. and the one I made tropéziennes with. But out of all my rich dough recipes, it stands out by its high hydration and high fat quantity. I thus wanted to create a generic rich dough recipe. To do this, I analysed my favourite recipes, ranging from brioche to burger buns, from challah to kanelbullar. On the table below, you can see the ones that I consider the more relevant, with BRIOCHE 2 being my usual, the one I just mentioned. Note: the hydration values, although inaccurate since milk and eggs don’t hydrate the dough fully (respectively at 87% and 73%), could have also been labelled “liquids”. I did however choose to go with “hydration” for ease of understanding and recipe development. I then went ahead and calculated an average formula as seen on the table below. And by multiplying the bakers percentages, I got the recipe for two brioche loaves. As you can notice, some of the measurements would be quite difficult to put into practice, so I used this “average recipe” as a guideline. I then added 3% of yeast and 2% of salt, and our control formula was done. This control formula is a perfect starting point as its egg-to-milk ratio is 50%-50%, which will allow us to really analyse its impact on the dough and on the finished brioche. I have in mind to make 5 different “brioche” recipes. Yes, “brioche” in quotes, as our experiment will range from actual brioche to pain au lait [literally, milk bread]. Here are the different formulas, each associated with a number, which is used as both a name and a rank. We will start with the control brioche 1, move onto brioche 2, and so on. As you can see above, we’re starting with the most extreme formulas as we might be able to stop our experiment after brioche 3, in the eventuality that the results will have given us enough information about the impact of the egg-to-milk ratio in the dough. I will, however, most likely still decide to conduct brioche 4 and 5, with my personal recipe collection in mind. – A clear explanation of mixture design. 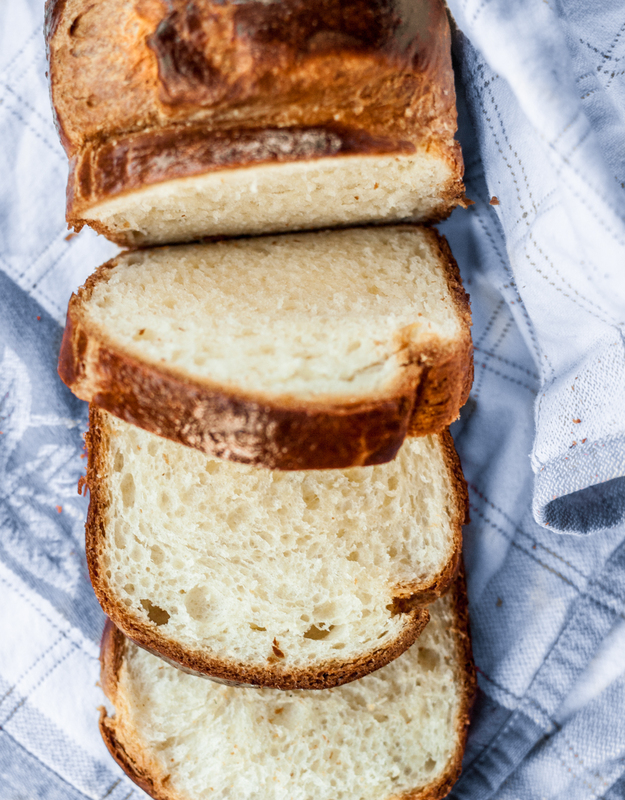 – A few notes on brioche. A brioche study, part three: impact of the egg-to-milk ratio in rich doughs. A brioche study, ressources: Brioche in literature. J’adore la science.. et la science qui se mange c’est encore meilleur 😉 En tous cas a brioche study, c’est le sujet de thèse que j’aurais choisi si je t’avais connue avant! Thank you so much for doing this. iIngredient percentages for brioche can be very confusing.